THE news that BBC journalist, Arifa Farooq, was arrested last week by Strathclyde Police was a shock to anyone who knows the inner-workings of that institution, the team she works with and anything about the nature of what’s called ‘investigative journalism’. The case is ongoing, so it’d be unwise to speculate too much about its particulars but equally there’s some things that have to be said for those of us with a stake in this kind of in-depth reporting. Firstly, in the interests of full-disclosure, let me say that I have worked, am working and will probably work again on a freelance basis for BBC Scotland, doing investigations at a number of levels – everything from researcher to presenter/producer – and in all mediums. I’ve had a freelance relationship with them on TV and, more recently, radio, that had its beginnings a long time ago. For anyone who’s not done investigations for them, let me tell you straight: they bend over backwards to put in place training, safeguard procedures and best professional-practice from start to finish. This was my experience before the Russell Brand/Jonathan Ross debacle and it’s been tightened to an even greater degree (probably too much, in fact) since. Compared to other broadcasters I’ve worked for across two-decades – and certainly in comparison to newspaper controls – the safety-first, play-by-the-rules, attitude of the BBC is world-class. The bottom line is this: if you are daft or damaged enough to attempt to do anything unethical whilst working for the BBC then, in my experience, you’d need to go out of your way to do it deliberately and you’d need to be ready to try hide your dodgy tactics from your colleagues. In other words, it’s a system that promotes excellence and transparency and the producers I’ve dealt with are more than happy to put a project on the backburner if the story starts falling apart. Secondly, again in the interests of full disclosure, in purely professional terms I know a fair amount of the team which handles the investigations: I know them in my capacity as a colleague who collaborates from time to time, and also as an academic who runs one of only two masters courses in the UK dealing with investigative journalism. They are all professionals – from Marcus Ryder, head of the investigative unit, to highly-regarded reporters like Shelly Joffre, Mark Daly and Sam Poling, and to producers of the calibre of Liam McDougall. 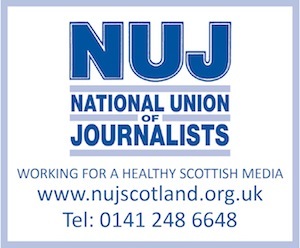 The latter, McDougall, has to be one of the country’s – and I am talking UK-wide here – most peer-admired journalists working in this field. He is a modest and ultra-cautious man, who happens to have quietly won most of the industry’s top awards whilst constantly taking on difficult topics and dealing with dangerous people without any fuss or fanfare. This is not flannel on my part, since harsh truth and criticism would be kinder in tough times when real friends should deliver the raw reality, but it’s not required here. I am simply drawing attention to the fact that, to a man and woman, these are people who know what they’re doing and often do it very well indeed. Thirdly, an arrest itself is part of a pattern that stretches back centuries with, more often than not, journalists being targeted for simply delivering the message. Don’t ask me why no-one ever learns from this. Maybe it’s like wars, every generation has to do it to prove and reaffirm the worrying appearance that we’re not really paying attention to history. But, make no mistake, it’s dangerous. It’s dangerous to the press and to civil society in general. This kind of journalism has developed and evolved in the USA and UK in different ways in the past half-century; sometimes the differences are stark, but other times, the similarities become clear. I sense, this is one of the times when we’re about to see something that happened in the US start to happen here more often. The Watergate investigation by The Washington Post was probably the greatest example of in-depth watchdog press reporting in modern-history. In its aftermath, when the Redford-Hoffman movie had garnered awards and praise, and when Woodward and Bernstein had bought the fancy houses in Washington DC’s Georgetown and New York city respectively, and when more newspapers started ‘I-teams’ – ‘Investigative teams’ – hoping to do some good reporting and maybe grab some awards, you might have thought investigative reporting was going to improve and really produce the goods. The short answer is – it didn’t. The reason it flopped was because laws soon quietly got changed, those under investigation hired ultra-smart lawyers who combed the system for loopholes to use, editors unrealistically hoped and over-hyped the expectation they were sitting on ‘the next Watergate’, and other reporters soon found out that investigative reporting was harder, more complex and frustrating than anyone imagined. However, the single biggest obstacle came because big business used the existing legal system to challenge in-depth reporting. There can be a chilling effect when it’s not the accuracy of a story that is within the cross-hairs of lawyers, but how the story was investigated. I’ve gone undercover a fair number of times for both press and TV projects. The results were okay but I confess I try and avoid it and will only do it as a last resort, for a number of reasons: it’s hard work being someone else, nauseating (literally) when it goes wrong and understandably reeks of ‘ego-trip-meets-stuntman-syndrome’ for critics looking on from the outside. But if it’s done seriously, proportionately, professionally and with editorial and legal oversight, it can produce stunning results now and again. No serious democratic society wants to ban this practice. No serious journalistic outfit wants to rule it out either. But anyone doing it – or managing its use – should be well aware of the legal pitfalls, resource implications and potential for danger for the reporter too. It should never be a first choice – always a last one (which is one of the reasons I still feel my stomach turning over when I catch old Donal McIntyre or Roger Cook programmes being repeated). The main defence of such techniques is that it’s done in the public interest: tabloid shenanigans blur this noble principle beyond recognition and damage the clarity of why it’s used by more serious outlets. But mature outfits should agree that undercover reporting is only one technique in its bag of tricks – never the main one – and the ‘public interest’ or ‘public concern’ argument had better be a good one. Good projects – and I believe, in this instance, the BBC’s Panorama was – prove the worth of undercover investigative journalism: but it should be legal, managed – and rare. Why? Because the reality is that sometimes, nasty truths are hidden in dark corners and only certain people can access them. Knocking on a door, showing a press card and asking for comment will not always do the job. Writing a stiff letter will not always do the job. Repeated phonecalls will not always do the job. And emails aren’t much use either. So, other established approaches have to be utilised. Any society can be well-served by brave professionals assuming another identity and breaking lesser-rules in the name of a greater good. Like an ambulance running a red light, a crime is committed to help a life. It’s not a practice to be encouraged, but it should not be entirely dismissed out of hand, either. And remember this: the very people who carry out the questioning and arrests of reporters who’ve gone undercover – the police – routinely assume fake identities themselves in the course of important investigations and a mature society and legal system understand why. Finally, I hope that my colleagues in the Scottish media sector won’t shy away from investigative projects in the future because of this arrest. Pretending it hasn’t happened and opting for safe ‘official’ news won’t cut it. In en era of generic ‘information’ masquerading as news, a wily public can smell the real thing a mile off and recent research in the USA indicates investigative reporting is one of the few types of journalism people are willing to spend cash on to access online, watch on-screen, listen to on radio and read in print. The course I am involved with at Strathclyde University has gone from strength to strength and this year looks on course to recruit globally in greater numbers than before. Reporters themselves are retraining to use new technology and new laws to scrutinise the system. Recent examples prove the point. If it hadn’t been for the likes of Heather Brooke tackling MPs’ expenses, John Ware uncovering the Omagh bombing suspects, or Henry Porter in print and broadcast nailing down the realities of the surveillance society we live in, we’d be much worse off. Yes, this arrest is worrying and, yes, the stakes are high. But I hope that cool legal heads will prevail and that serious minds can see what’s really behind this move without me spelling it out. Meantime, we should cover every single development in this case in the most visible terms we can collectively muster. Don’t let this arrest of the BBC’s Arifa Farooq play out ‘under the radar’ and don’t shy away from fighting for the principles and practices at stake that were put in place by brave reporters who trod the same path and fought the same good fight long before our turn came around. Nothing would please shady characters in our midst more than us ignoring or muttering about what’s on the table here. These kind of people lie down to sleep every night and rise out of bed each morning praying that reporters cease carrying out serious investigations because that will let them do what they want in the shadows without fear of anyone looking over their shoulder. We cannot stand by and let this happen – we’re better than that.